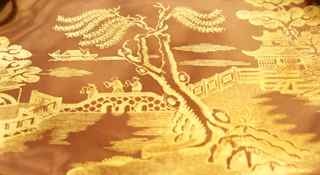 This is similar to Booths' Black Willow pattern, except that the central gold Willow pattern is on a bright red/orange ground. 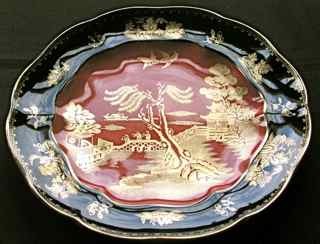 Plates have the same elegantly fluted rim as Black Willow, but the border features small oriental scenes interspersed with sprigs of flowers. 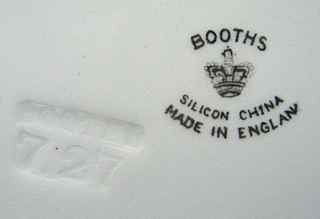 The items below all have the Silicon China crown mark, with MADE IN ENGLAND indicating a production date of c. 1921-44. 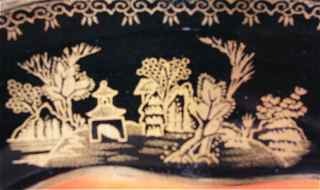 We also have some items in a similar pattern entitled Black Oriental. 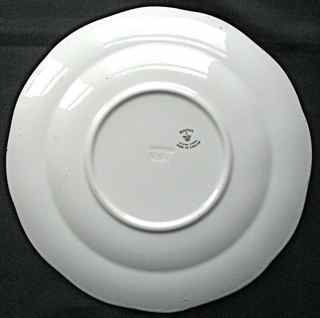 The photos taken at an angle (left) show the gold detailing more clearly.